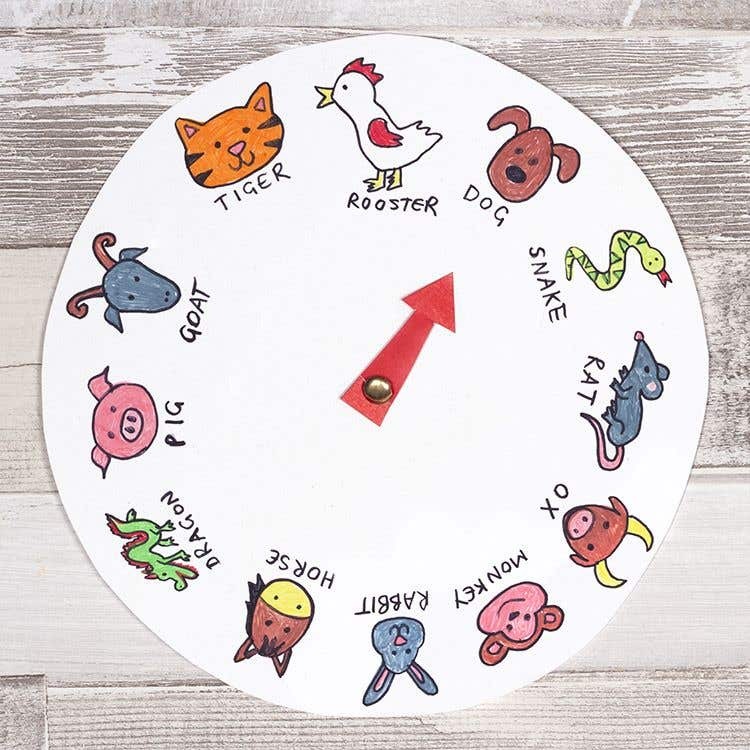 Children can learn about the Chinese New Year zodiac animals when making this clock. They can change it to point at the right animal each Chinese new year. Cut a large circle out of a sheet of white card. Start drawing one of the animals at the top of the circle with the coloured pens. Continue drawing all twelve of the animals around the edge of the circle, turning the card each time. The animals are: tiger, dog, goat, horse, pig, dragon, rabbit, snake, rooster, ox, rat and monkey. 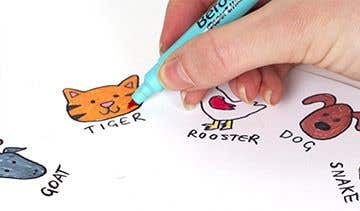 Write the names of each animal underneath your drawings. 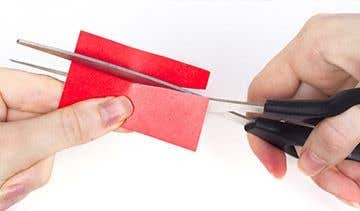 Cut out a small arrow shape from a sheet of red card, then attach it to the centre of the circle using a paper fastener. 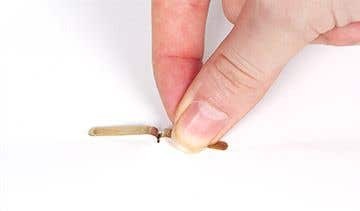 Get an adult to push in the split pin as it can be sharp.